Of the many new gift ideas to emerge this season, few have managed to make a greater impact than the PK2003 Ice Rocks Gift Set. 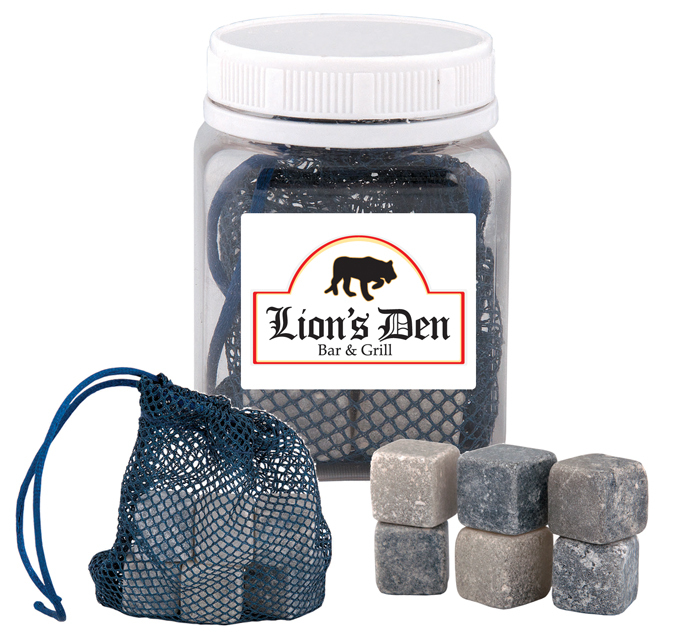 This popular gift set features two low-ball glasses and six soapstone ice rocks, as well as a mesh pouch to house the rocks when they’re not in use. What makes this set such a distinctive gift is the use of soapstone, a naturally occurring rock, consisting largely of talc, which is known for its ability to maintain a cool temperature for lengthy periods of time. Unlike ice cubes, soapstone rocks will not dilute your drink or overwhelm its character with a biting chill. Soapstone is also non-porous, so it will not leave an odour or a taste that could tarnish the flavour of your drink. This cool and contemporary gift set is an ideal option for those “have everything” people on your list. Whether you are rewarding employees or thanking clients, the Ice Rocks Gift Set is sure to impress! Packaged in a stylish black gift box with a silver bow, the PK2003 Ice Rocks Gift Set can be purchased for under $30! 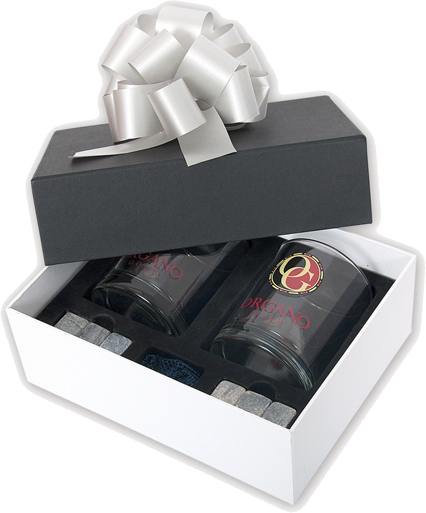 The price of this gift set includes your logo imprinted on both glasses. We recommend using Laser-Like to add even more value! Laser-like is our latest decorating method that creates an elegant impression. This upscale option closely resembles the subtle look of engraving, yet it adds no additional cost! BREAKING NEWS: Now you can purchase the ice rocks separately. KP8156 features six ice rocks in a clear container that can be decorated with your logo or a short personalized message. Click here for more information about this scaled down option. For additional product information, or to check stock availability, please contact your Sales Representative, or leave a comment below. FYI – stock of the gift sets will be replenished the first week of December. 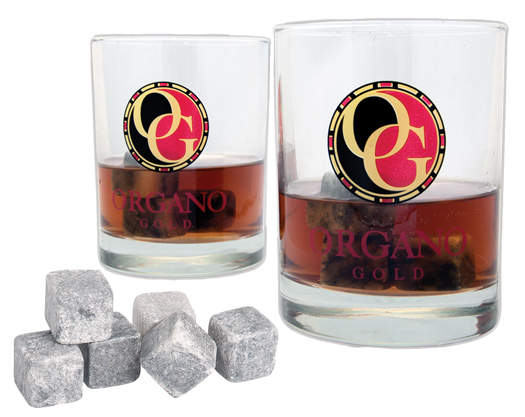 This entry was posted in Black Label Collection, Gift and tagged corporate gift, Drinkware, gift set, ice rocks, ice rocks for drinks by Debco. Bookmark the permalink.